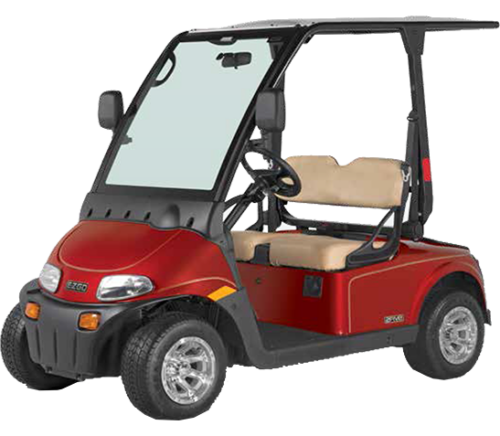 The AC48-2-Std is a utility vehicle that comes with comfortable seating, modern interiors as well as a stylish sturdy build. It has a powerful 7 HP AC motor and a 48V battery system that allows it a load carrying capacity of 550 pounds as well as an impressive towing capacity of 2000 lbs for its size. The AC48-2-Std has stylish 10” aluminium wheels and is also available in custom colours along with the classy default white.